A new planting can be designed and installed to aesthetically improve your yard. Whether it is a tree, shrub, perennial or annual, plantings help to enhance your property by adding color and texture. Our designers have the knowledge and expertise to make proper horticultural choices to ensure plants will thrive in their new environments. Our well-trained staff consists of Massachusetts Certified Horticulturists and will make sure plants are properly planted in accordance with industry recommendations. Patios, walkways and stonework are an important part of the outdoor living space. The way these elements are designed help to create the overall feel and use of the space. Our design team is well versed in using these elements to create the best spaces for the vision of your property and our installation teams use the best practices and care to install them. Our masons are highly trained and are in tune with the design goals and details that put our projects above and beyond. Material choices work with the design to further enhance the space. Natural stone gives a more relaxed and native feel while pavers and brick provide a more formal appearance. Our designers can help make the right material choices to best suit your property's surroundings and overall vision of the design. 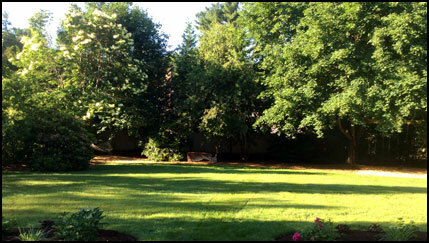 A new lawn can complete your yard into the lush landscape you have always wanted. Our team of highly trained staff installs lawns using the highest quality products and techniques. Whether it is seed or sod you will surely be happy with your new lawn. Beautiful, thriving planters and container gardens enhance your outdoor living areas and create a enhanced look and feel. 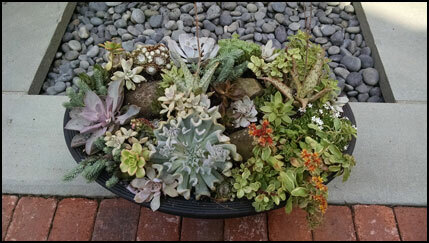 We design container gardens that are lush, thriving and beautiful for each season. If you are looking to add some color and decoration to your surroundings, we are happy to work with you. Planning to host a special occasion? Graduations, weddings, anniversary parties, and other milestone events are all more festive and special when beautiful container planters are used as centerpieces or focal points around your decks, patios, walkways, and entrances. 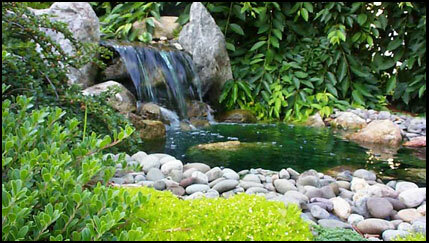 Water features are a great addition to a garden or landscape. Water can be used for its sound to create a tranquil environment or to create a focal point. 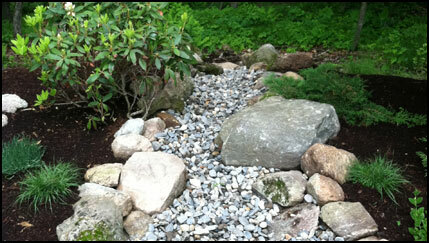 People are naturally drawn to water and there are many ways to incorporate a feature into your landscape. 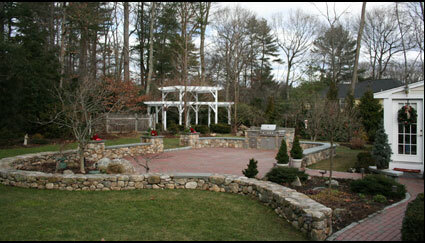 Our team of designers is ready to help you create the perfect addition to your garden. Our installation crews have the experience to install a wide scale of water features from small bubbling stone fountains to much larger water falls flowing down a slope in to a small koi pond. Drainage is often part of the project that is overlooked, yet is so important to the scope of the job. If drainage is not addressed properly many problems such as flooding and standing water can occur. Our designers are trained to identify these problems and can work with you to come up with creative solutions to solve the problem. 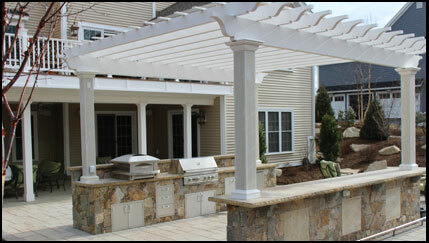 Let our team of designers take the lead on your outdoor project. We have built up a talented network of tradesmen who can help complete your project from start to finish. We can coordinate and schedule each step of the project so it can be completed seamlessly.